A fully loaded 18-piece set that’s the total package in one box. 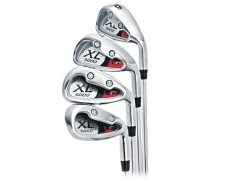 The Top-Flite XL 5000 Set is comprised of a 460cc forged driver with draw-biased weighting, two matching stainless steel fairway woods, two easy-to-hit stainless steel hybrids, six perimeter-weighted stainless steel irons and a putter. 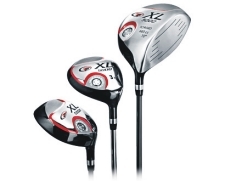 Also included are a lightweight stand bag and five head covers. 460cc forged driver with draw-biased weight screw and huge sweet spot for outstanding distance and accuracy. Synchro-flex graphite shaft enhances clubhead speed. Two stainless steel fairway woods (3-wood & 5-wood) with the draw-bias weight screw for consistent shot-making and True Temper steel shafts. Easy-to-hit 4H and 5H hybrids with draw-bias weighting for better shots from a variety of lies. Perimeter-weighted stainless steel irons (6-SW) feature deep undercut cavity back and dual balance weight screws for a lower and deeper CG for enhanced forgiveness and control. 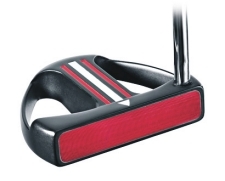 CNC Milled soft face mallet ring putter with a high MOI design and an alignment stripe to provide improved accuracy on the greens and consistent roll. 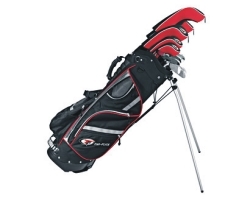 Ultra lightweight, durable stand bag with padded dual carry strap. Five head covers and a rain hood.